Brown/Gold Evening Dress | Sung Boutique L.A. 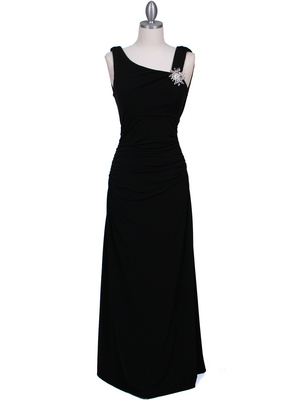 This simple yet captivating halter evening dress features dazzling silver tone metallic that adorn the waist. Flowy skirt adds a sense of elegance. - Approx. 57 in. from shoulder to hem.